The second of the holiday boxes I’ve been using for dovetail practice. I gave this one to my wife. 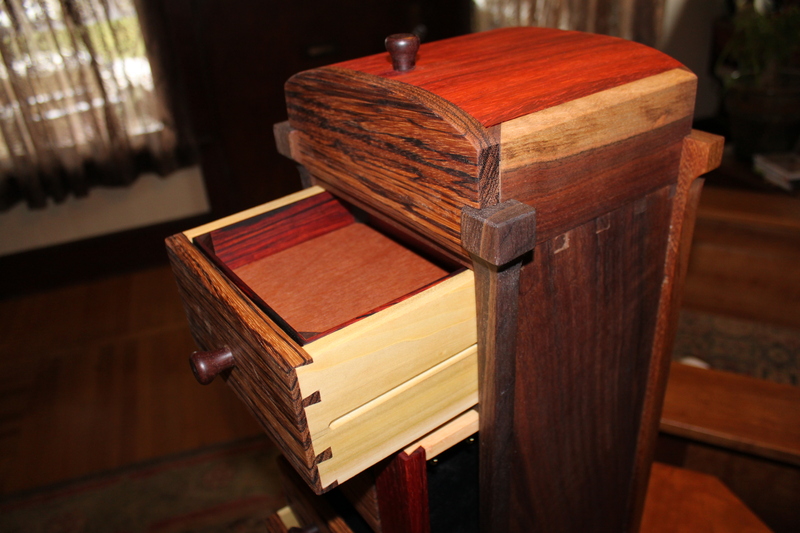 Hand-cut drawer half-blind dovetails, zebra wood and paduk drawer fronts, walnut case. 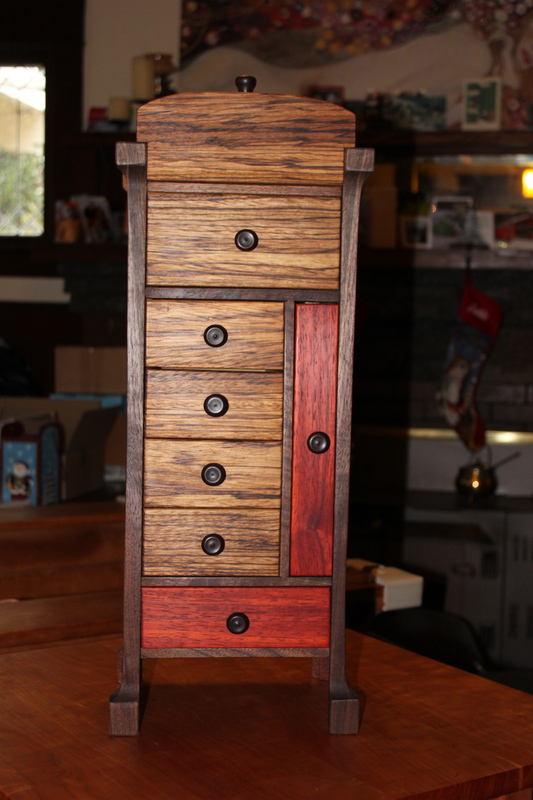 Hand-rubbed oil finish. 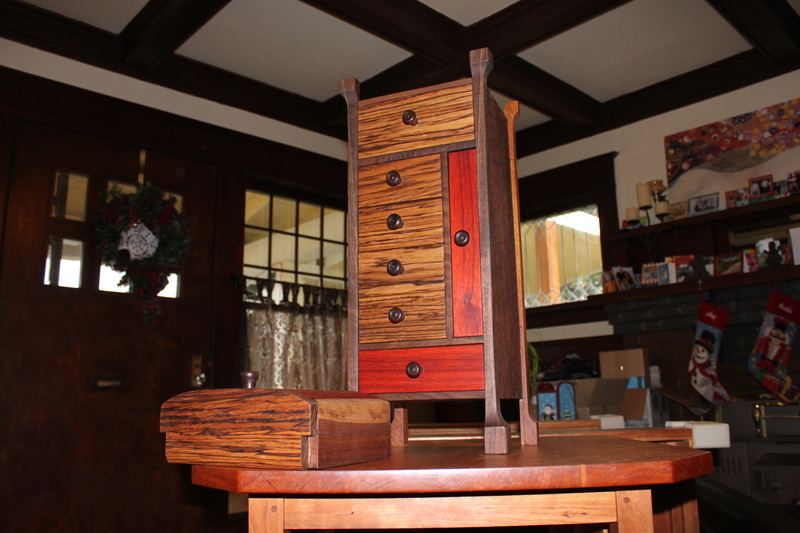 Interior removable valets of asian ebony and cocobolo. Vertical drawer has necklace hooks. The top of the box is a stand-alone valet that is removable. This box took me a bit longer to make due to it’s size and the drawer arrangement; about 40 hours (though I’d be quicker at it next time!). This entry was posted in box, design. Bookmark the permalink.